Battleshield | Your Fire Equipment One-Stop Shop! Pumper, Tanker, Rescue, Aerial Equipment or any other types of fire apparatus, we can help. We do repairs and refurbishing on all makes and models. See our vast services we offer. For all makes and models. Mobile pump test laboratory. From concept to design to delivery, Battleshield has become a leader in the emergency vehicle service and manufacturing industry. Battleshield specializes in manufacturing new pumpers, pumper rescues, pumper tankers, tankers, rescue units and custom refurbishments of any apparatus. In addition, Battleshield is a one-stop shop for annual pump testing, repairs and preventative maintenance of all makes and models, part sales, with a 24/7 emergency service. We always maintain an important inventory of parts at the shop and when on the road, our service technicians carry an inventory which saves time and money for our clients. 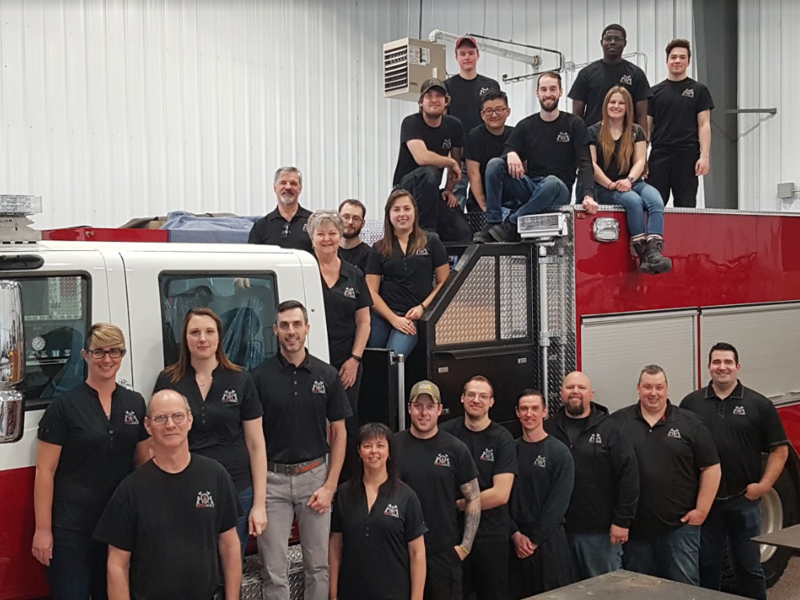 Battleshield staff encompasses highly certified technicians (310T, 310S, EVT, CWB, CAN/ULC, pump and electrical technicians), full-time engineers on staff, as well as passionate volunteer firefighters, which is one of the company’s greatest strengths.